This glass cleaner is extremely popular for its ease of use and great results. It removes surface contamination with ease and doesn't leave streaks. Over the past couple of years it has become the industry standard for glass cleaning both in automobiles and around the home. This foam based cleaner is great because it stays where you spray it, instead of immediately running down the glass. It also easily penetrates contaminates on the glass for a thorough and complete cleaning. It works great on interior and exterior glass while safe on tinted glass. Get the Stoner Invisible Glass and take care of all your glass care needs. Cleans glass so well, you'll think it's invisible! Invisible Glass was developed with two simple objectives:superior cleaning power and "invisible" clarity. 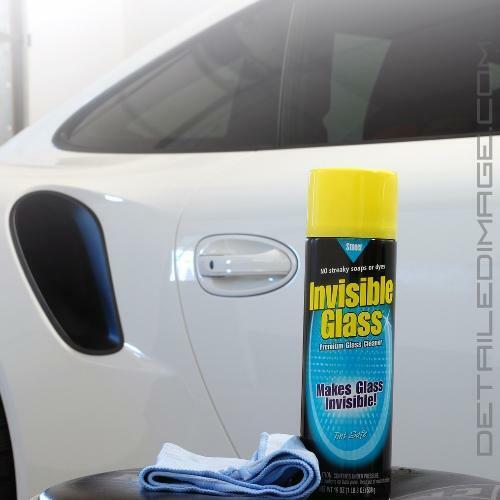 When you compare Invisible Glass to ordinary "blue glass" glass cleaners, you'll immediately see how quick it removes even the most difficult grime, making glass virtually "disappear". 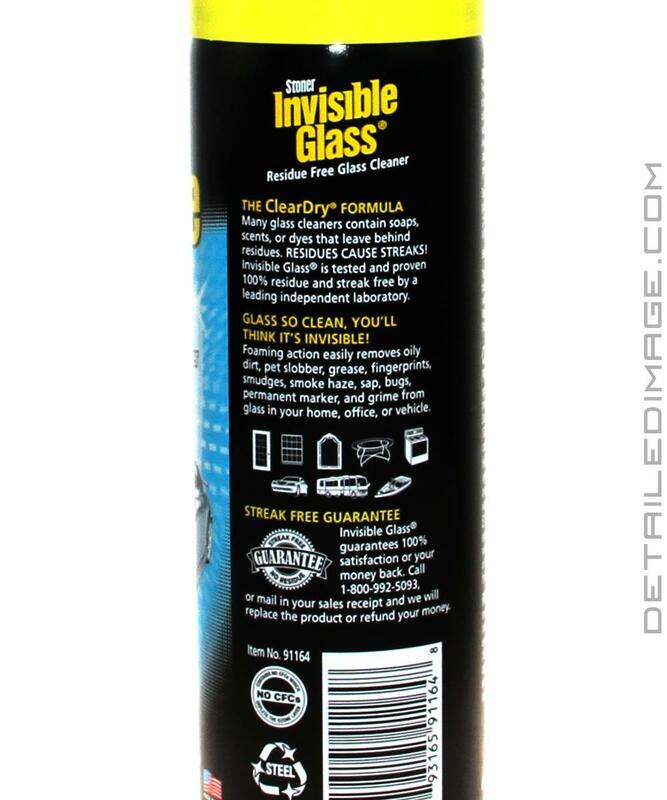 Use Invisible Glass to clean windows, mirrors, windshields, and other glass surfaces at home, work, and play. Other glass cleaners contain dyes, scents, soaps, and water. There inexpensive ingredients often remove just basic dirt and leave streaky residue which is difficult or impossible to remove. 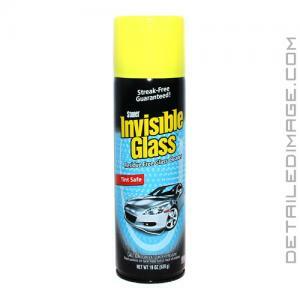 Invisible Glass contains NO soaps, foams, scents, or dyes. It evaporates quickly and completely, leaving glass clean and clear with NO streaks, haze, or residue. DIRECTIONS: Read entire label before using. 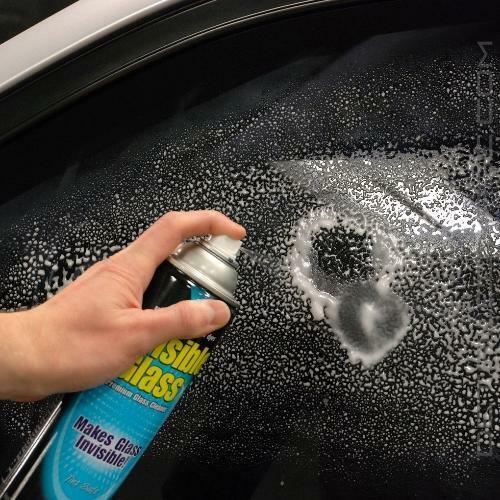 For Streak-free glass cleaning, it is important to use a proper applicator. Use only soft, clean, lint-free cloths or towels that are free of residual detergents and fabric softeners that can streak glass. Avoid paper towels that contain streaky wetting agents. Some pros prefer crumpled newspaper. Hold can 8 to 10 inches from surface to be sprayed. For most applications, apply a thin coating on the surface. Gently wipe surface to lift and remove grime. For best results, two or more applications may be necessary, and glass must be dried completely with a towel or a cloth. First application will remove the majority of dirt and grime but trace residues of solubilized dirt may remain. A second or third application with a clean cloth may be needed to loosen and absorb these trace deposits for complete cleaning. Invisible Glass is powerful, yet harmless to glass and many other surfaces. Before using, always test for suitability in a small, out-of-sight area. Always follow equipment manufacturers cleaning instructions. Not recommended for plastics or surfaces that could be damaged by water or solvents. Discard if not used by "USE BY month/year" date on bottom of can. Good product - I now use D120 since it is concentrated but would use this in a jiffy. Used this for inside of auto windows, pleasantly surprised. Others reviewed does not run down (it is a foam) and leaves no streaks/residue. Agree, will put in my travel bucket for road trips versus standard window cleaner. This stuff cleans windows with no fuss no muss. No streaking or smears. Never cleaned my windows so fast so easy and so thoroughly. A must have if you want your car windows looking sharp.